From computer animated Pixar movies to PlayStation video games and beyond, kids have seen it all these days. The first challenge is to get their attention, and the second even larger challenge, is keeping it. It’s the “blue face” generation with heads down glued to the screen. These days, it’s nearly impossible to get kids to engage in raw imaginative play. Once a level is completed on an app or video game, kids are taken to the next level. This generation is trained to constantly look for the next step, level, or experience. Today’s youth are being raised on real-time entertainment. Whether we like it or not, product offerings to this generation need to match those expectations. Typical post and platform playgrounds often fail to offer kids extra challenges with layered experiences. These playgrounds typically provide a singular experience and sometimes get only a single visit. 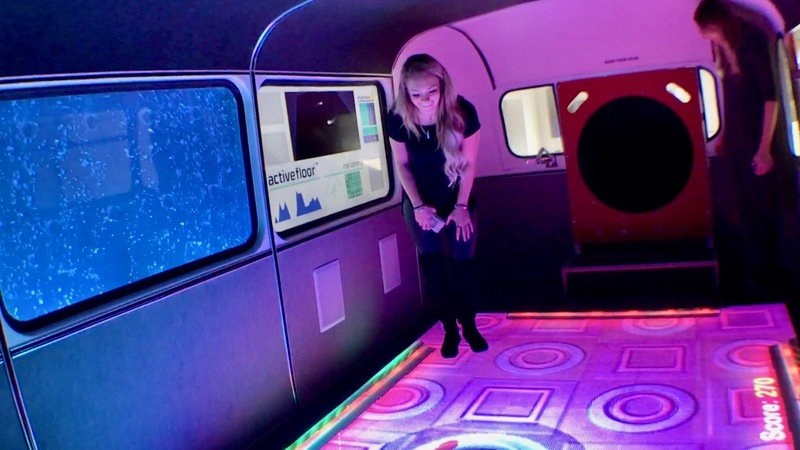 Themed products and environments can bring excitement as they offer added challenges and take kids to that “next level.” They’re engaging and keep kids coming back throughout their learning years. 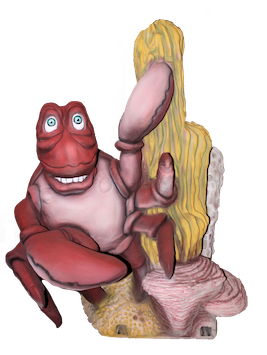 In themed play, children are immersed in an alternate universe which ignites their imagination adding layers of challenges, open-ended play and a real connection. 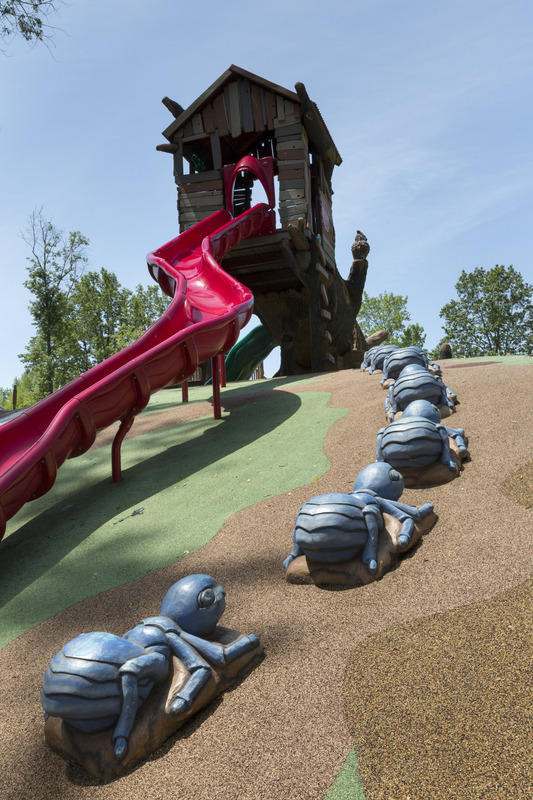 Companies that offer custom design for theme playgrounds create everything from themed sculptures and site amenities to complete environments. 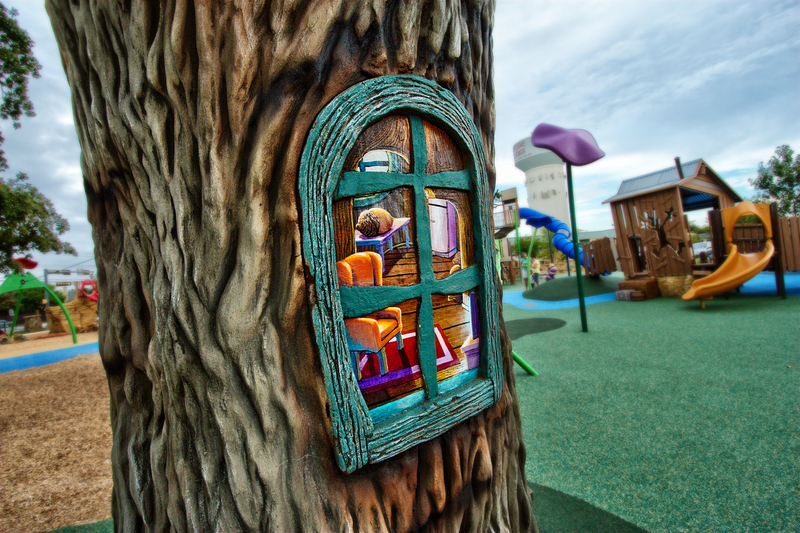 Themed playground designs can be realistic or whimsical in nature. Popular theme settings could include enchanted forests, farms and barnyards, gardens, and jungles. 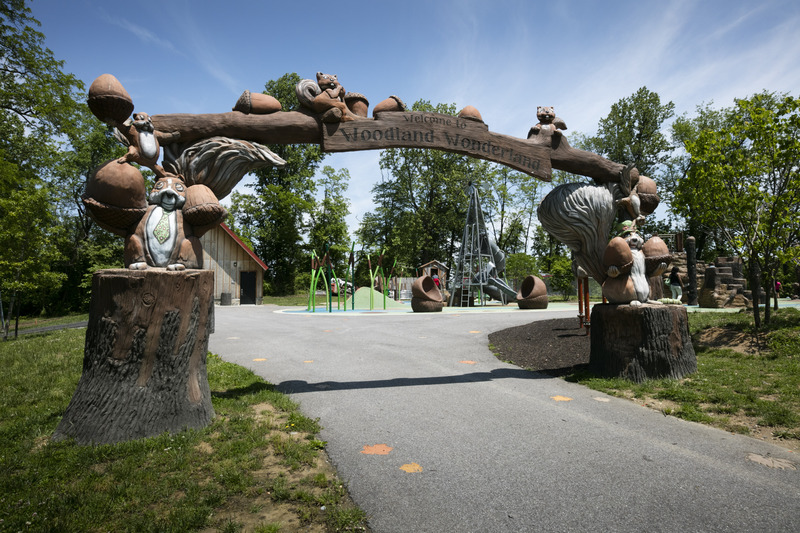 Aviation, sports, nautical, fairytale, health and fitness, cartoon, aquatic, and pirate themes are just a few that can be the inspiration for playgrounds. Whatever the imagination can conceive inspires the themed play companies to meet the challenge. Of course, their designs are built to meet national and state guidelines, however custom designers view themselves as nonconformists in the industry. They tend to twist and bend from the ordinary to create a product that is intriguing to both youth and adults. The goal is to grab attention and inspire creativity, and they know how to do it well. those unique and cool experiences. For instance, creating the tall slides similar to the playgrounds of years past before the lawyers took over, the challenge is to find ways around the safety difficulties by working with the natural surroundings. The result? The excitement of a 30’ slide incorporated into the hillside so that the slide is no more than a few feet off the ground. By utilizing the site’s natural landscape, solutions can be found that sometimes seemed impossible. 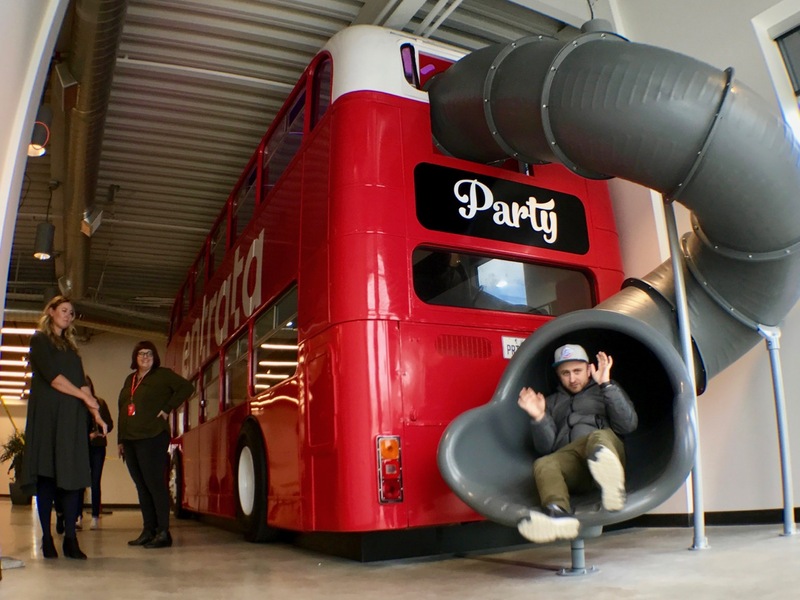 So, although the safety guidelines and standards were developed with the mindset for traditional play equipment more than custom or themed play, this doesn’t stop a company from creative solutions! Themed play environments can be built to incorporate inclusive design for users of all abilities that go far beyond ADA standards. These include challenges and unique structures for children and adults who have vision impairments, cochlear devices, children with high-functioning disorders such as autism, those with walking impairments or in wheelchairs, and more. Custom designed theme play environments do not need to look like the typical “sea of ramps” ADA playgrounds found in many of today’s parks. Whether simple log steps in a nature-themed trail or an interactive alien spacecraft, it is important to design with the modern-day user in mind. Products and spaces need to speak to their generation and give them a reason to pull their heads from the digital fog. Themed play and customized environments provide for a deeper layered offering to engage kids, evoke emotion, and to keep them coming back. Read the digital article at Play & Playground Magazine here.